« Britzinger Weinwandertag & Herbstfest…. 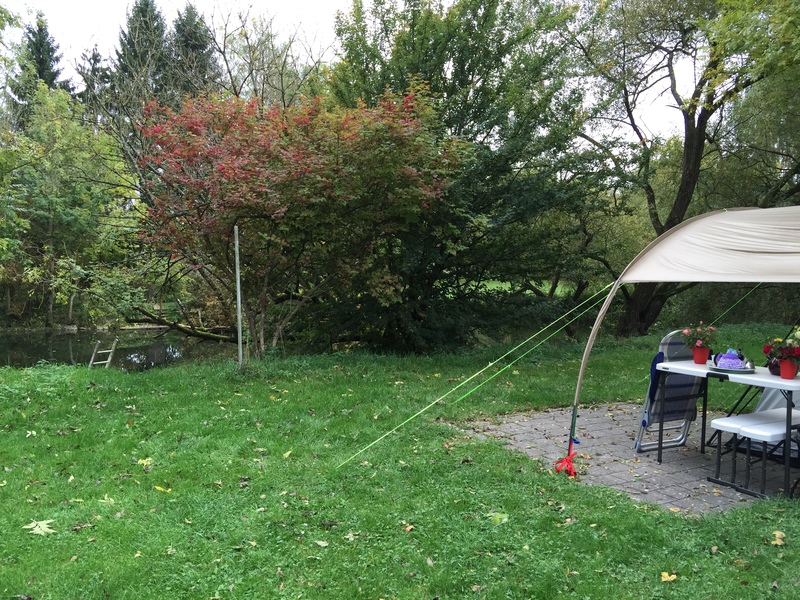 Today’s blog post is a review of our final camp site in Germany by my hubby…. The river Nied runs gently through Campingplatz Siersburg and the river front pitches are large and spacious with lovely views; all very picturesque. We decided to choose a pitch with a great view of the river, but this did mean we were at the furthest point from the ablutions. The ablutions are very clean and have all the facilities you need when out camping. Access for toilets and showers for wheelchair users is in a separate space at the main restaurant and office complex and I did not make use of these am unable to make any comment, but the brochure does say they have heated shower and toilet facilities for the disabled. Our camper was on one of the larger pitches which had a hard standing which was level – rather nice as we have not yet had the chance to buy chocks for the wheels to level the van. We arrived in the first week of October and by then the site was entirely empty of families as they had returned for the new school year. The only other campers were touring couples and a few semi-static caravans which had not yet departed for the end of season. Generally the campsite is neat but as with all German campsites we have been to so far, there is a large number of semi-permanent caravans left on site all year and these were sometimes a little untidy as they were filled with a years worth of camping and holiday paraphernalia, but this did not detract in any way from our enjoyment of the site. Internet access on the site is excellent and available all round the site for a very reasonable cost per day. A real bonus when you are attempting to blog about your travels. The restaurant and bar served us an excellent takeaway meal last night and the owners are very helpful and friendly. We were very happy to have stopped here for the three nights at the end of our holiday as it is quiet and comfortable with great access to the wine routes in the Rheinland. We are also within a 4 – 5 hour drive of the ferry in Calais which makes it a good alternative to the other great camping site we stayed at previously in Luxembourg.